Looking for 2" Wood Blinds or Faux Wood Blinds? Warranty: 1-year against manufacturer’s defects. 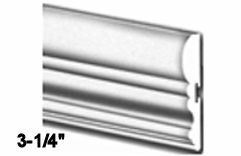 Blinds over 72" wide must be made as a two or three blinds on one headrail. Synthetic Wood: 100% PVC with UV protection - Flame Retardant. Call (866) 528-9223 to order!